In politics, there are always going be a certain number of risks that come with a lengthy and meaningful career, and a key part of the game is simply mitigating those risks. Of course, Washington’s deep state swamp is a tricky one to navigate, with any number of serpents slithering about in the slime and between the cypress trees. This is not anything new for Americans, but, with populist Donald Trump in the Oval Office, many believed that we would experience a massive shift toward clearer, more honest political path. This has not always been the case, however, thanks to the lasting influence of the democratic leaders whose stranglehold on the media and certain pockets of political power have continued long into the presidency of Donald Trump. One such influencer is certainly Hillary Clinton, whose time as Secretary of State continues to mar the American experience still today thanks to her incredibly shortsighted and selfish attempts to circumvent national security in pursuit of Clinton Foundation philandering. Now, Kentucky Senator Rand Paul is calling her to the carpet in his usual, bold style. Here are the comments, as they appeared. 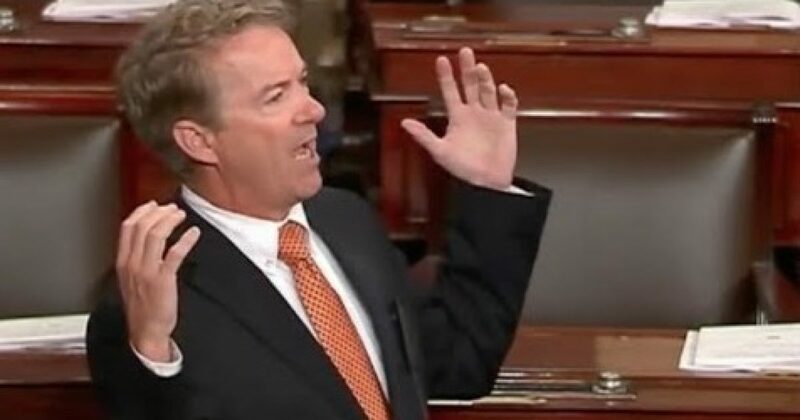 For those of us who have been paying attention over the course of the last few years, Rand Paul has taken a wild risk here, and one that the mainstream media will certainly refuse to cover. Hillary Clinton is not known for having enemies whose careers continue into later life, and Rand Paul certainly understands this. Still, the brave Senator felt that doing the right thing was more important than doing the easy thing, and for that we are extremely thankful. Still, we’ll be praying that Rand Paul doesn’t become the victim of a botched robbery somewhere in D.C.